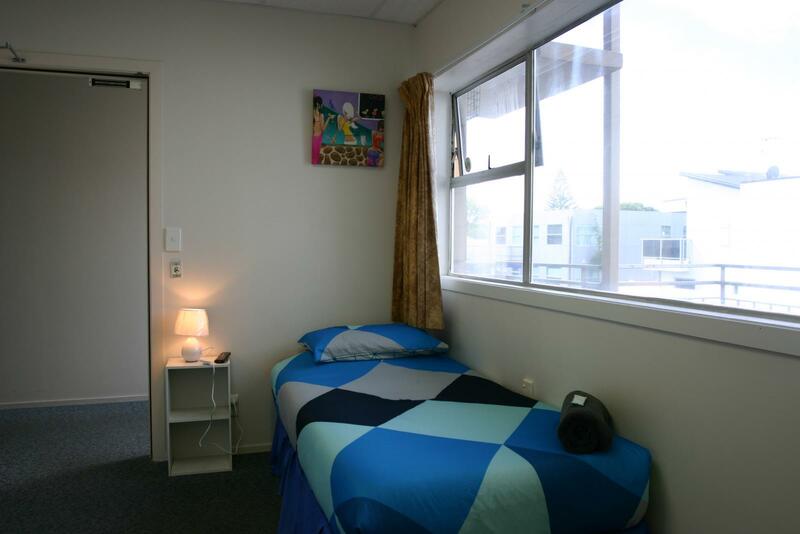 As our name suggests, Backpackers Central Hamilton is conveniently located close to most amenities (Claudelands Arena, Rugby and Cricket Grounds, Founders Theatre, Bars, Restaurants and Supermarkets). Make Backpackers Central your base to explore. Look out for our distinctive funky green signage. 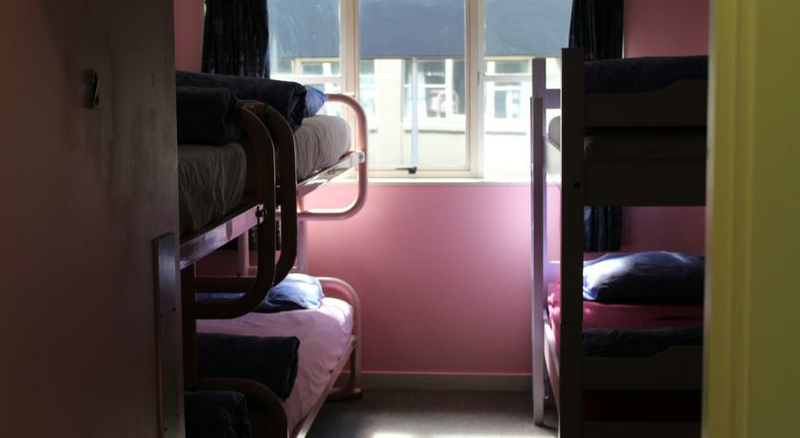 Group bookings are our specialty as we have 38 dorm beds, 7 doubles, 3 twins, 1 triple and quadruple rooms, 1 family and 18 singles. All linen and bedding are supplied. Take advantage of our special rates for groups guests. Also, have weekly rates for long term. Please contact us or make a booking to secure the best rates for you. We adjust our room rates on a daily basis according to room availability and customer demand. 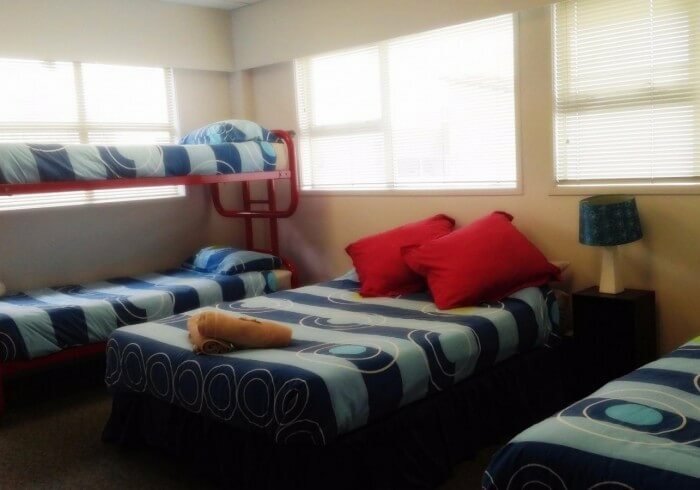 4 Bed Male Dorm Room with shared kitchen and bathroom facilities including FREE continental Breakfast every morning. Free locker inside and all linens are provided. 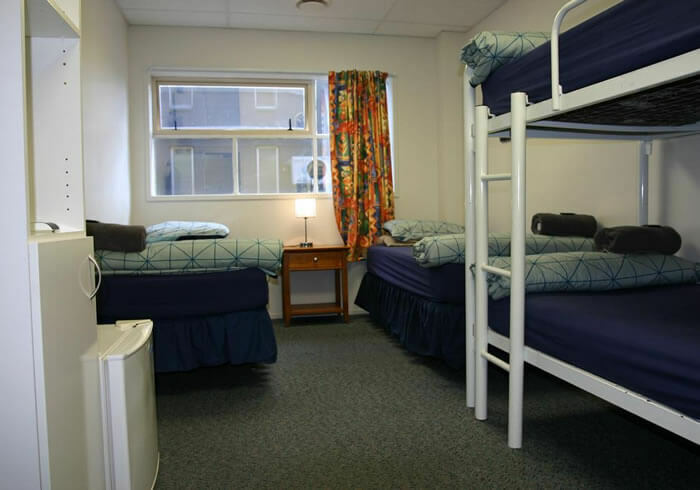 4 Bed Female Dorm Room with shared kitchen and bathroom facilities including FREE continental Breakfast every morning. Free locker inside and all linens are provided. 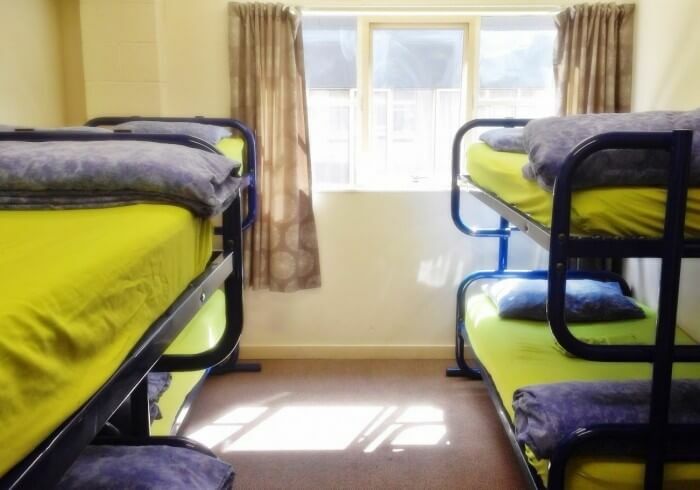 4 Bed Mixed Dorm Room with shared kitchen and bathroom facilities including FREE continental Breakfast every morning. Free locker inside and all linens are provided. 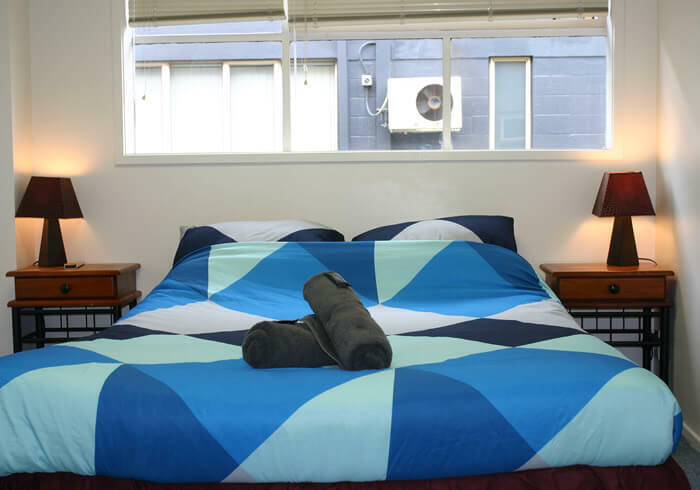 Private single Room (a single bed) with shared kitchen and bathroom facilities including free continental breakfast every morning. All linens and towels are provided. Mini-Fridge, table/chair, wardrobe, flat TV on the wall and bedside table with lamp. 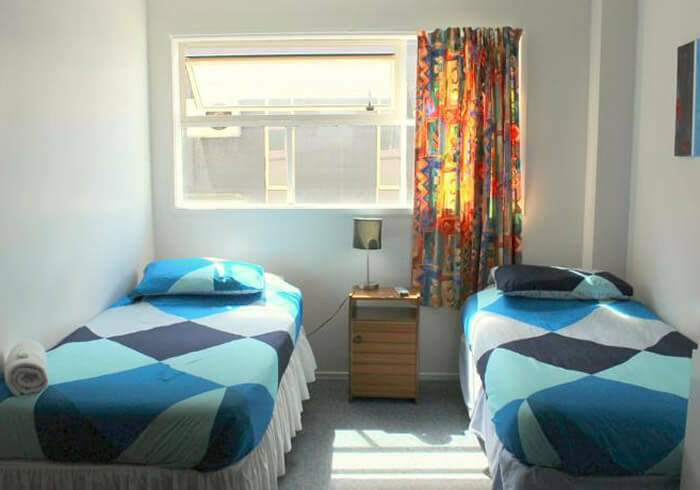 Double Room with shared kitchen and bathroom facilities including free continental breakfast every morning. All linens and towels are provided. Mini-Fridge, table/chair, wardrobe, flat TV on the wall and bedside table with lamp. 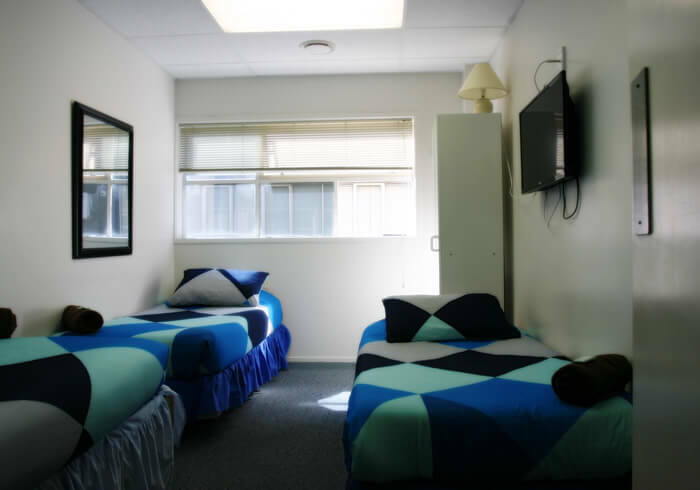 Twin Room with shared kitchen and bathroom facilities including free continental breakfast every morning. All linens and towels are provided. Mini-Fridge, table/chair, wardrobe, flat TV on the wall and bedside table with lamp. 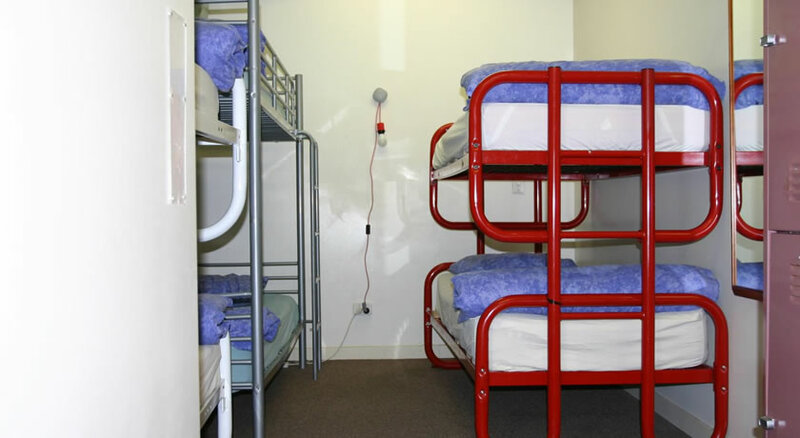 Single room with Ensuite including free continental breakfast every morning. All linens and towels are provided. Mini-Fridge, table/chair, wardrobe, flat TV on the wall and bedside table with lamp. some single room ensuite has no windows. 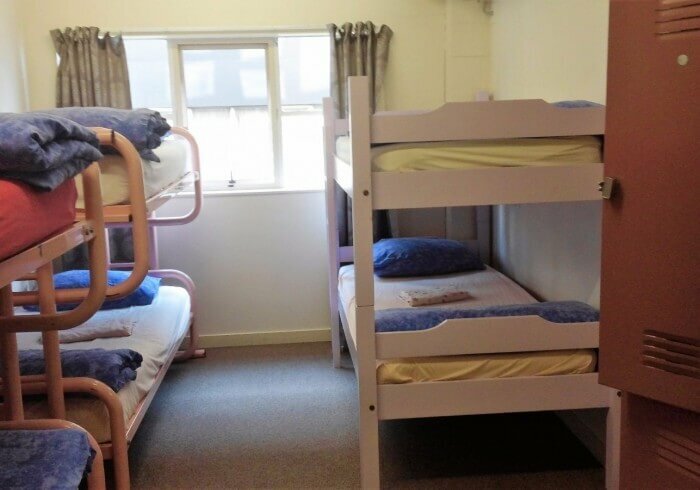 Double Room with Ensuite including free continental breakfast every morning. All linens and towels are provided. Mini-Fridge, couch, wardrobe, flat TV on the wall and bedside table with lamp. 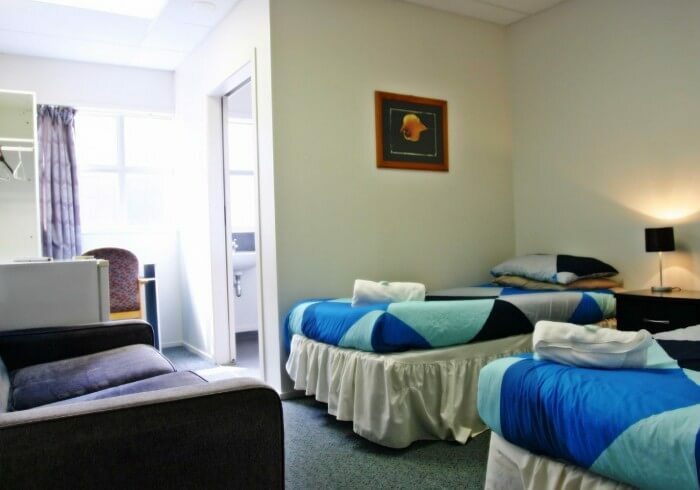 Twin Room Standard with shared bathroom facilities including free continental breakfast every morning. All linens and towels are provided. Wardrobe, flat TV on the wall and bedside table with lamp. 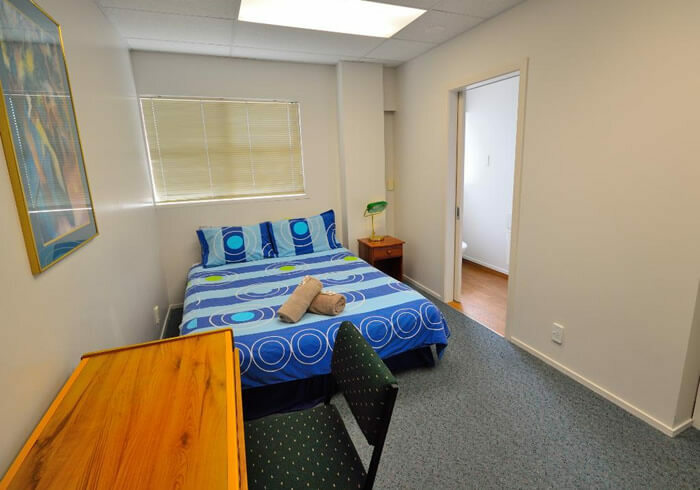 Twin Room with Ensuite including free continental breakfast every morning. All linens and towel are provided. Mini-Fridge, table/chair, wardrobe, flat TV on the wall and bedside table with lamp. 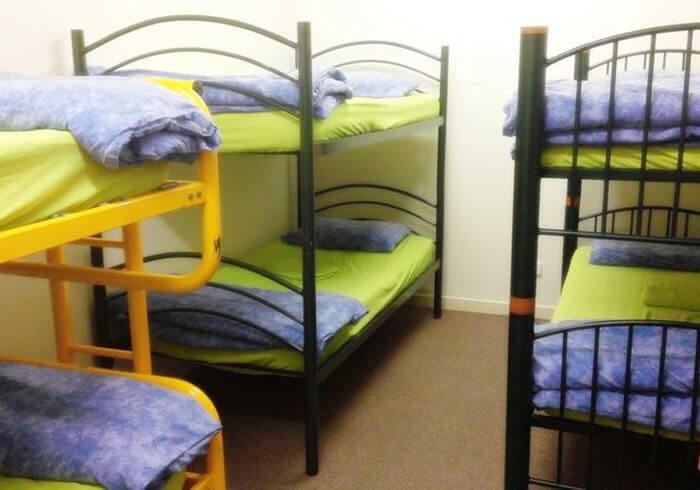 Quadruple Room Standard (2 single beds and 2 bunk beds) with shared bathroom facilities including free continental breakfast every morning. All linens and towel are provided. Wardrobe, flat TV on the wall and bedside table with lamp. 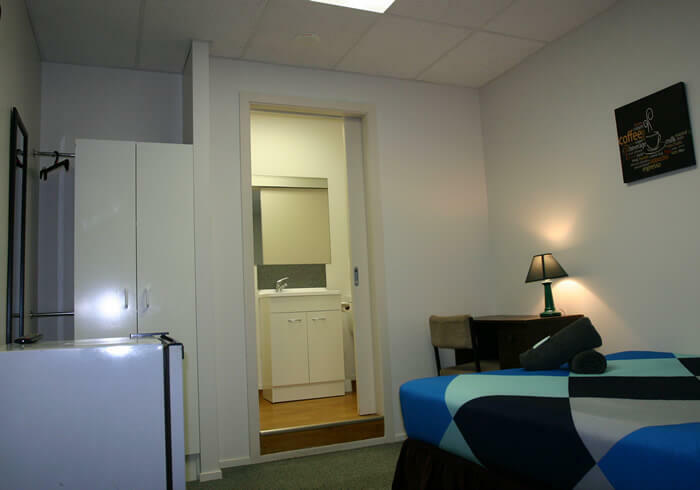 Family Room Ensuite (1 single bed, 2 bunk beds, 1 queen bed) Ensuite including free continental breakfast every morning. All linens and towel are provided. Mini-Fridge, wardrobe, flat TV on the wall and bedside table with lamp.